Living in L.A. means accepting a lifetime of apocalyptic natural phenomena: earthquakes, mudslides, wildfires, Santa Ana winds. But the most devastating of all is the city’s lack of discernible seasons. The problem is particularly grievous in the fall, when the autumnal equinox is nothing more than another 80-degree day. Instead of eyeing with envy the Instagrams of plaid-clad friends in flyover states, put your energy into seeking out the season, which you can do by taking a short road trip. 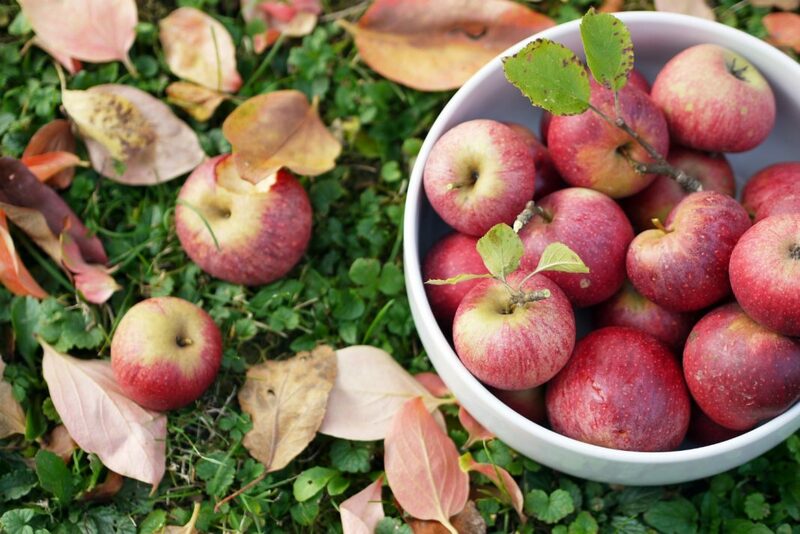 Nestled in the picturesque foothills of the San Bernardino Mountains is Oak Glen, also known as Apple Country (really), a five-mile loop of orchards, family-run restaurants, and cider mills that look like they’ve been ripped from the pages of a storybook. Farm after farm along Oak Glen Road beckons you with the promise of fresh-baked apple pies and tractor tours, but you’re on a mission, and that mission is fabricating a season out of thin air (seriously, the air is pretty thin—Oak Glen bills itself as having a “mile-high climate”). So you’re going to bypass all of the delicious fall treats (for now) and keep driving until you see Los Rios Rancho, a charming U-Pick operation. One of only a handful of U-Pick farms in Southern California, Los Rios is owned by the Riley family (they own two other nearby orchards open to the picking public) and is known for its acres on acres of apple trees—some 10,000 heavy with heirloom fruit—not to mention its berry and pumpkin patches. The U-Pick produce is season-dependent: Generally, strawberries are available from late June through October, raspberries from late July through October, apples beginning Labor Day weekend through the end of October, and pumpkins in October and November. Staffers offer plenty of tips before they set you loose armed with empty satchels; once you’ve picked all the goods you can carry, stay on to partake in a bevy of festive activities, such as a corn maze, wagon rides, making U-Press cider, and horseback riding. As for the aforementioned fall treats, queue up for barbecued chicken or pulled pork from the ranch’s Farm Kitchen (the line is shortest midmorning), then stock up on pumpkin butter, apple fritters, and homemade jams in the market on your way out. In California, it doesn’t get more fall than that. Next articleNovember’s Best Showings of Classic Movies in L.A.